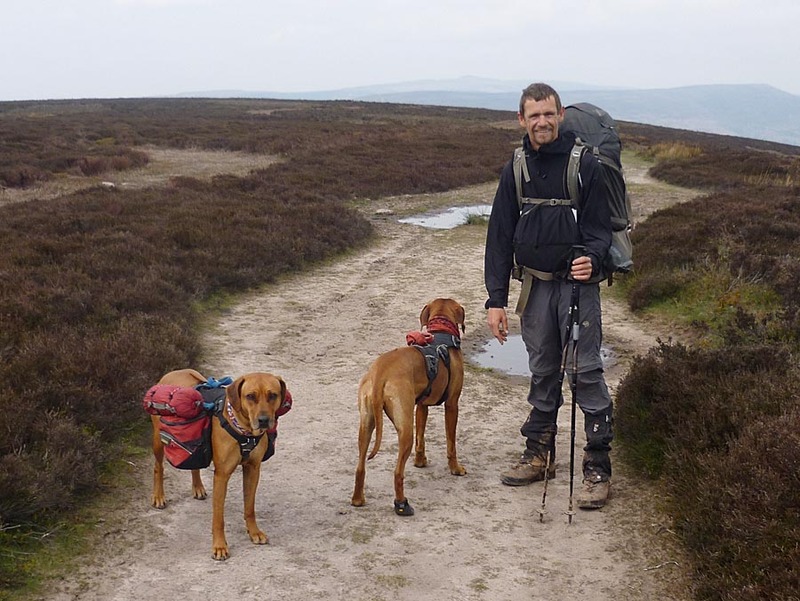 Back in April of this year I posted a report on Martin Fletcher embarking on his 12000 mile charity walk with his two Rhodesian Ridgebacks to raise money for the Veterans Association UK (VAUK). Well they did it and what a trip it was! Martin kindly got in touch after seeing that I had picked up on the piece and offered an update. 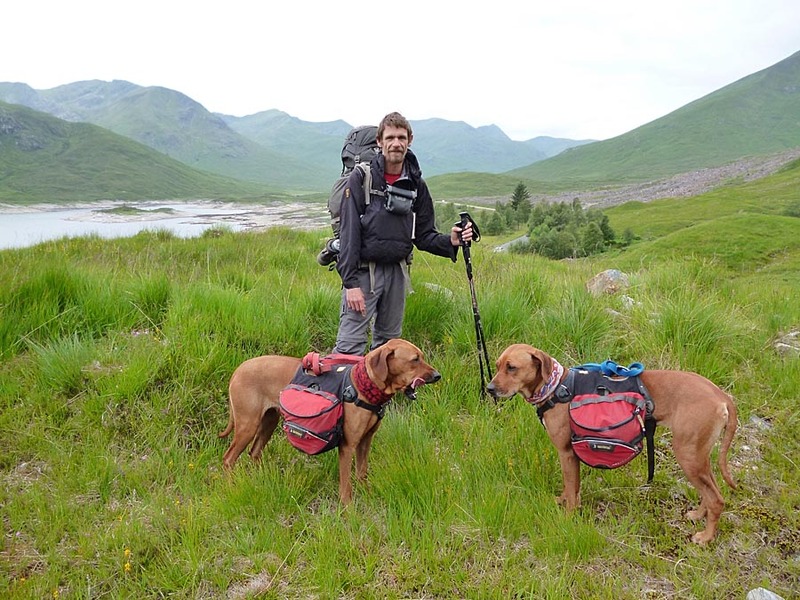 A really inspiring adventure that any Rhodesian Ridgeback owner would be envious of. 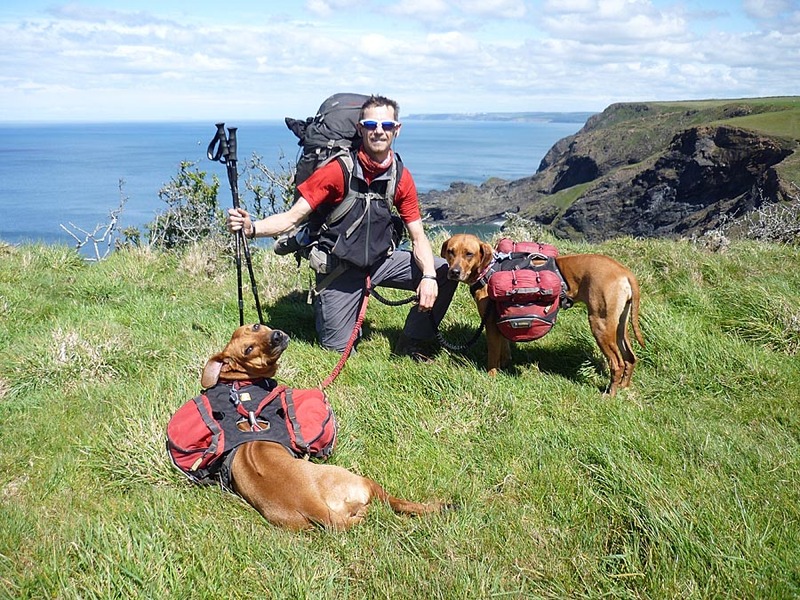 there’s nothing better than spending some quality time alone with these dogs, seeing them exploring the environment, they absolutely thrive on an variety of outdoor activity. What better adventure could you possibly have than this? Well without further introductions, I will simply hand you over to Martin – In his own words accompanied but photos taken during the epic walk. “My planned End to End route was a 1236 mile off-road walking route from Land’s End at the tip of Cornwall to John O’Groats at the tip of Caithness in the north of Scotland. 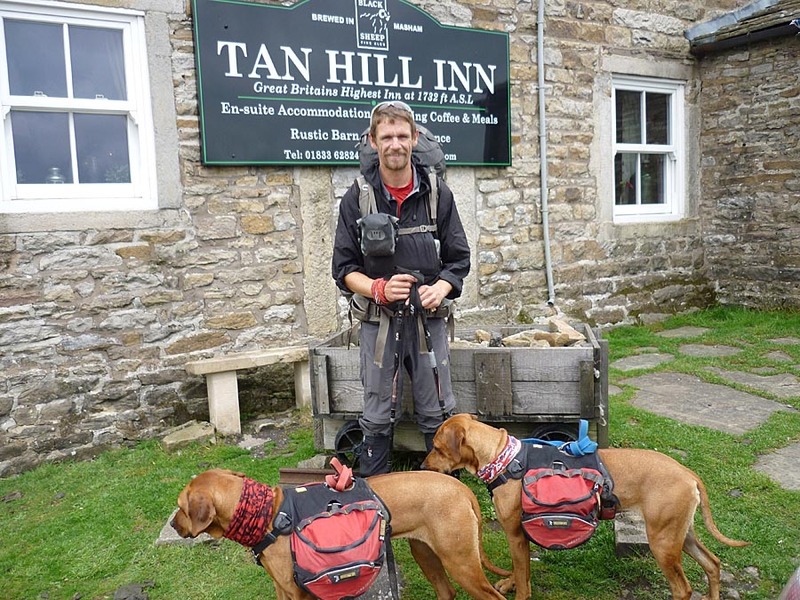 Planned was a 64 day walking schedule at a average of 20 miles per day with an added 6 rest days totalling a epic adventure of 70 days. I had posted ahead 26 parcels around the UK filled with the dog food kindly provided by CSJ along with dog energy bars and also maps I needed. 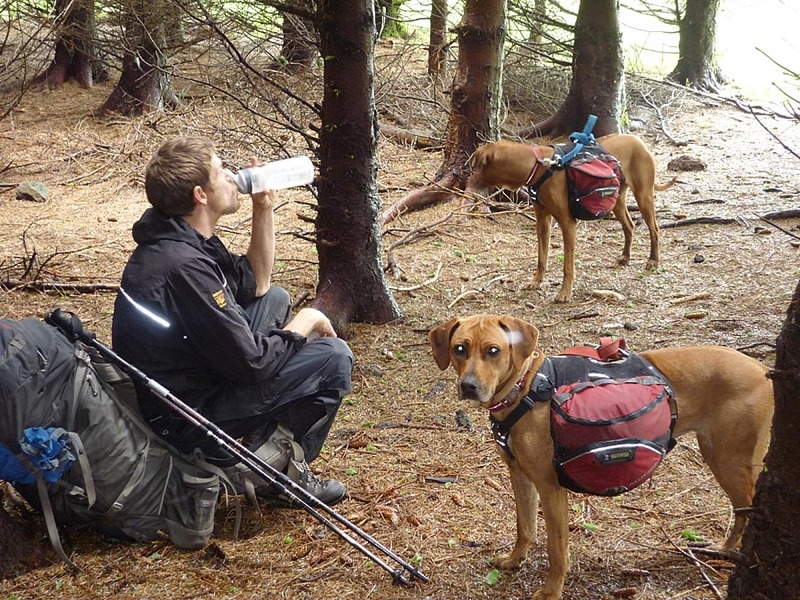 The dogs would then refill their packs with food at these points of the hike. 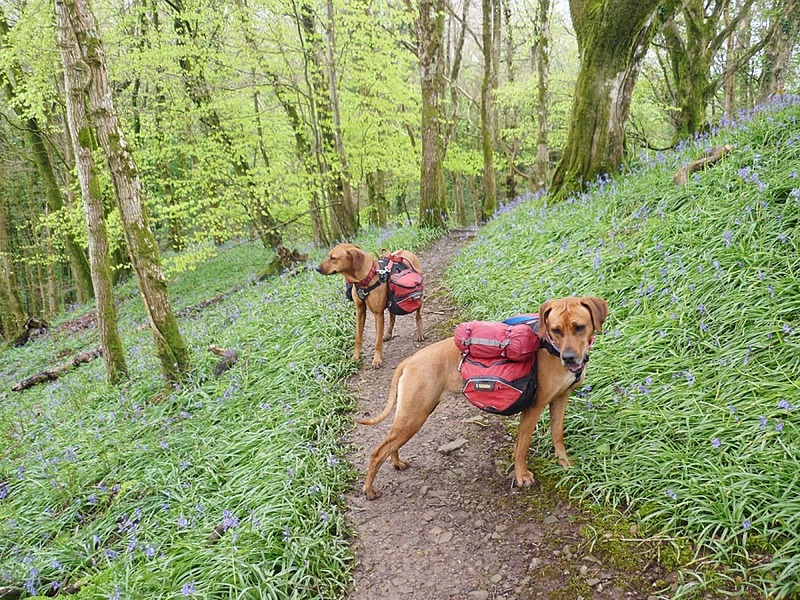 On 23rd April 2012 I set off all fully kitted with the dogs carrying their own food and equipment needed for the hike. We (just the dogs and I) followed the spectacular northwest coast of Cornwall and Devon all the way. Most of it was on the South West Coast Path. 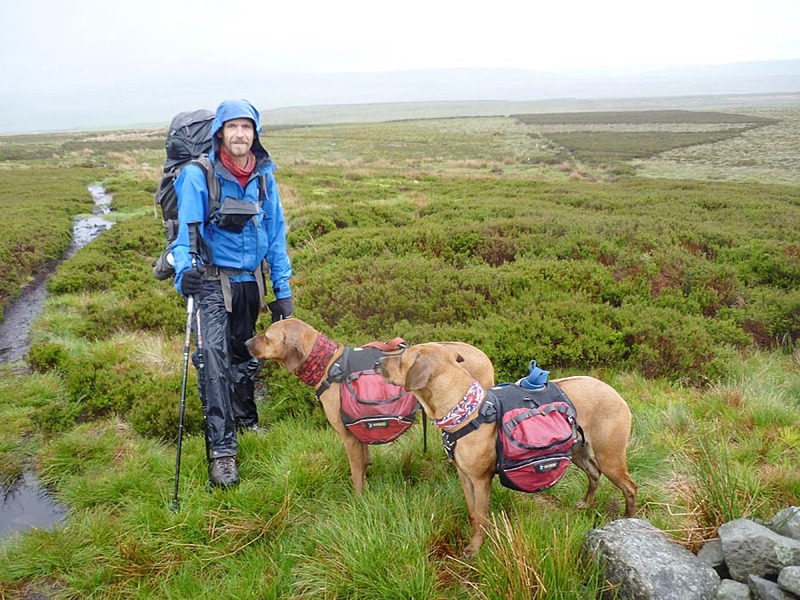 Both the dogs and I found this section very hard due to the amount of ascents of descents on the coast path and also the weather battered us with gale force winds and very heavy rain for days. We had to sit out a severe weather warning in Boscastle for 2 days and when I arrived in Clovelly, Devon one dog (Tara) needed resting due to stiffness. I decided to send Tara’s pack home when in Barnstaple to relieve her from carrying weight. Her sister Jess and I shared her load. We then slowly plodded on at Tara’s pace. 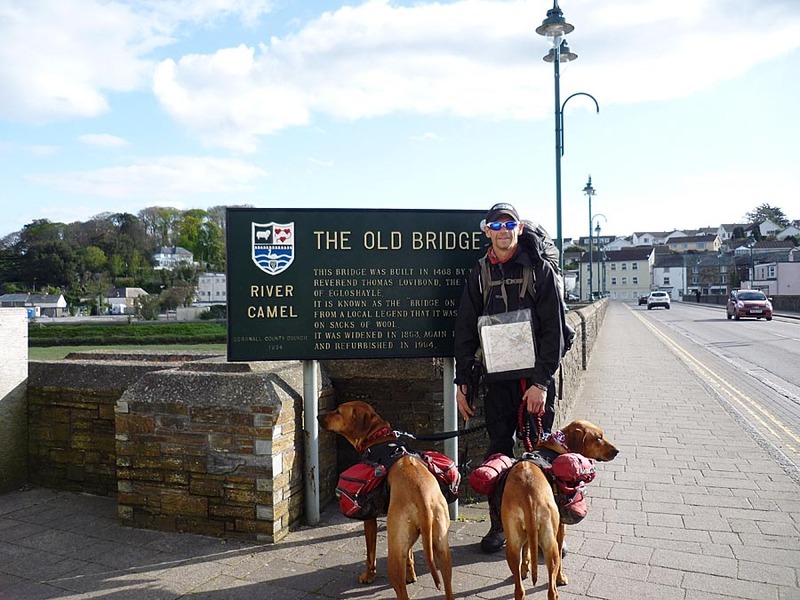 We left the coast at Barnstaple and crossed Exmoor, the Quantocks and the Mendips to skirt Bristol and joined the Severn Way to reach the M42 Bridge over the Severn Estuary. I had to rest Tara again at Roadwater after crossing the Quantocks and also at Chedder after walking over the Brendon Hills and across the Somerset flats. I was getting concerned about Tara; would she cope and should I send her home? We had a long way to go. Her sister Jess was having no problems and loving the walk. She had a spring in her step that is when it wasn’t raining mind. The walk was slowly getting tougher and tougher even though it seemed I was getting fitter. Once across the bridge and into Wales we picked up the Offa’s Dyke Path and followed it up the Wye valley and over the Black Mountains to Knighton, halfway up Offa’s Path. Through this section the walk sometimes got quite dangerous due to farmland with fields full of cows with calves which resulted in us getting very harassed and sometimes chased. I had to deviate off route many times to avoid these dangerous episodes and this went on all the way through to the Scottish Borders. I was not happy and ate prime beef at every opportunity. 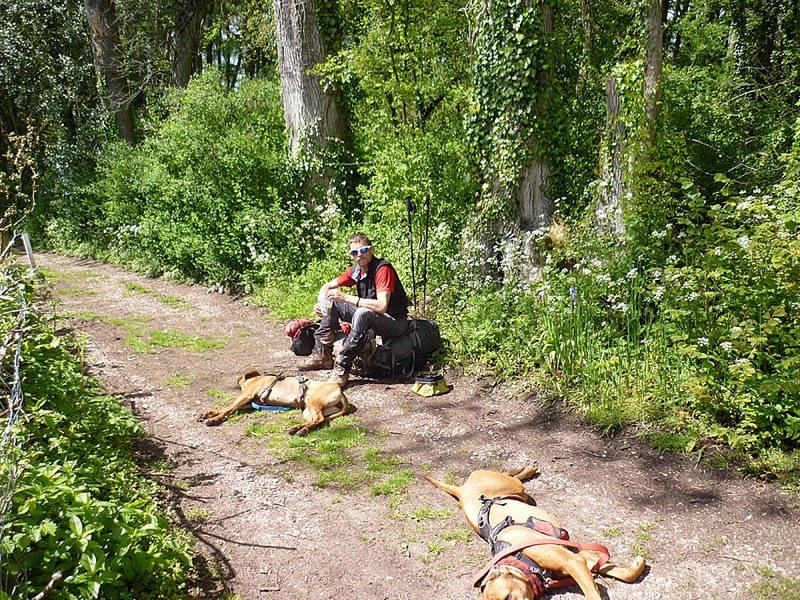 An unscheduled rest stop was taken at Pandy, Powys to wait for dog boots to be posted to me. The pads of the dogs were showing wear and I was not taking any chances; we had a long way to go. 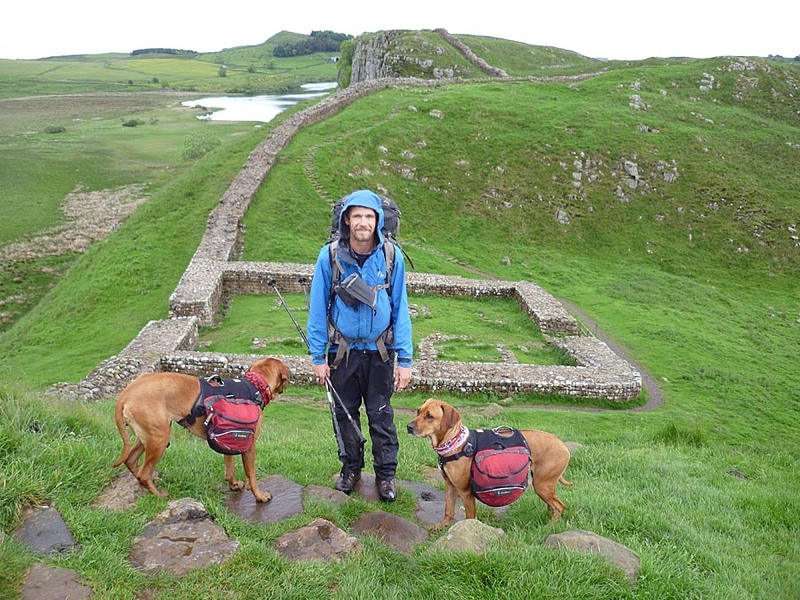 After a fantastic day walking along Hadrians Wall all seemed not as bad mentally and we marched on to Scotland. 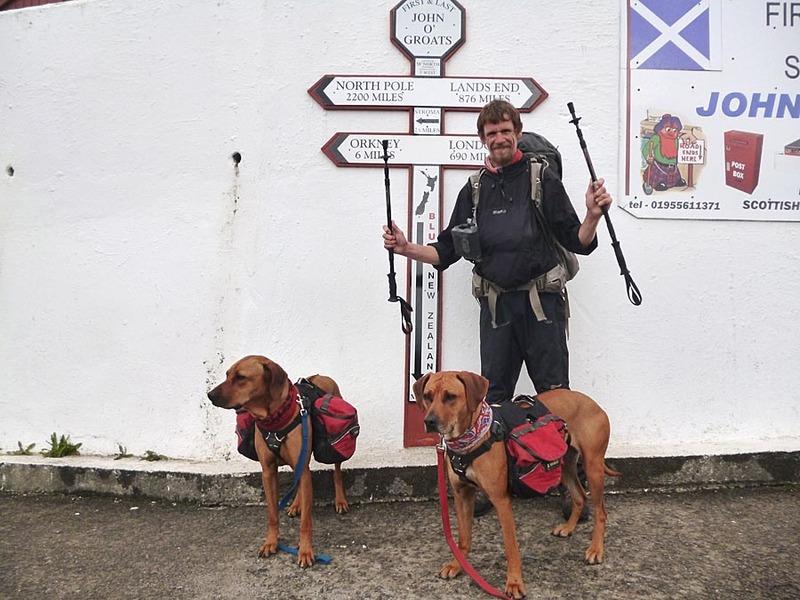 At Jedburgh I was interviewed for ITV Borders evening news during a scheduled rest day. This can be found by Google search with Martin Fletcher ITV. Leaving Jedburgh we walked on Dere Street, a Roman road and crossed the Southern Uplands via Melrose, Peebles and West Linton to join the Union Canal west of Edinburgh. At Melrose I came down with a virus/bug which had me visiting the local doctors and having to stay tent bound for 4 days. After recovering I followed the Union Canal to Falkirk, then the Forth and Clyde Canal most of the way to Glasgow, leaving it for a disused railway track which is eventually joined by the West Highland Way. Being harassed by clouds of midges we followed the West Highland Way along Loch Lomond, over Rannoch Moor, and past the foot of Ben Nevis to eventually reach Fort William. After an extended break in Fort William we set off, initially following the Caledonian Canal to the northeast along the Great Glen, before cutting north into wilder areas of the Highlands. 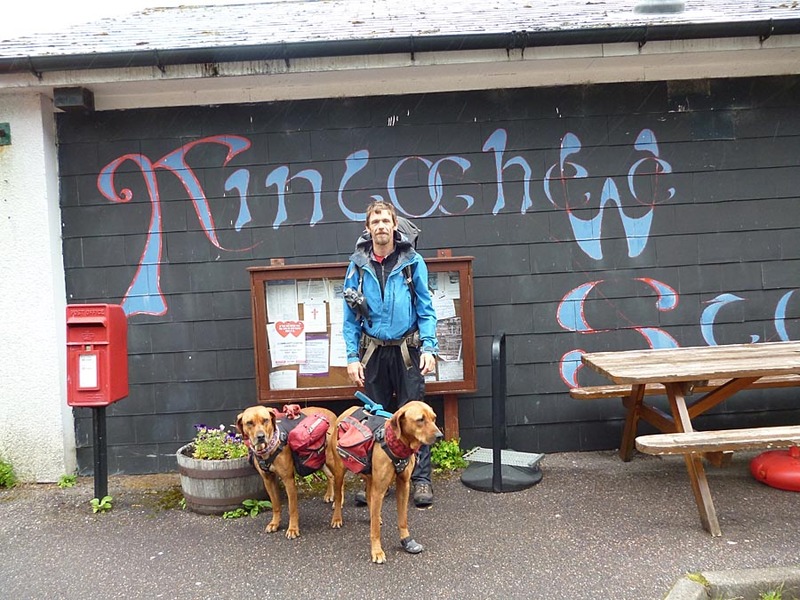 We walked over bealachs into Glen Garry, Strath Cluanie, upper Glen Affric, past the incredible sight of Falls of Glomach and down into Kinlochewe, to reach the head of Loch Broom on the west coast. I rested in Kinlochewe after not seeing anyone for 5 days while crossing the remote areas and the socialisation for me and the dogs was much needed. From Loch Broom on the west coast our direction changed northeast, crossing more wild and remote country to Oykel Bridge. 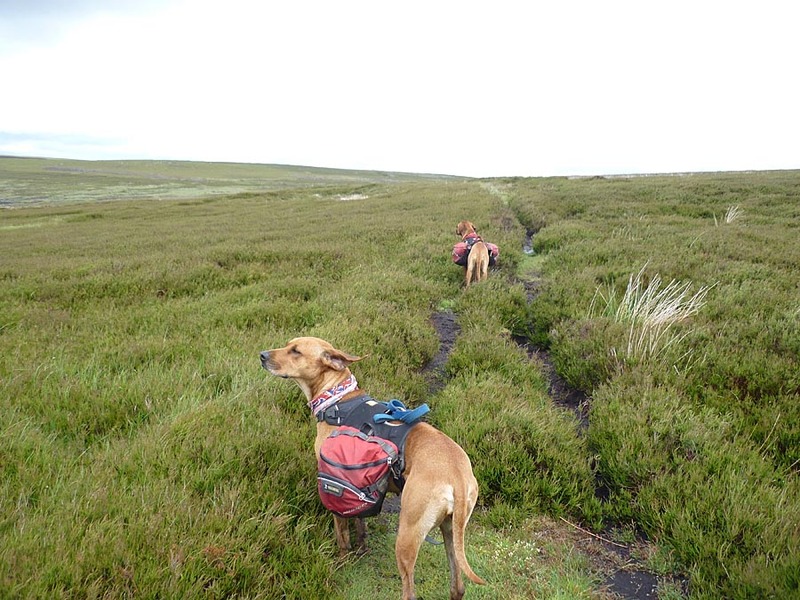 We all struggled at times with no path, the wildness of the highland’s peat hags and heather while having to avoid very visible Adders were taking their toll. Having to cross the rivers proved to be no problem as it had not rained in the Western Highlands for 8 week while the rest of the UK was drenched. My worries were eased but we were not there yet, we had over a hundred mile left and in front of us was difficult wet terrain over the flow county. The dogs have now settled back down their daily routine and are both in full health confirmed by their vet on returning home. 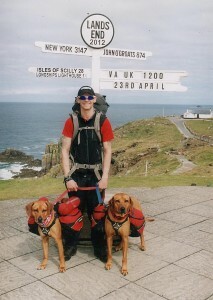 The dogs would not of been able to undertake this walk if it wasn’t for the high protein diet and support from CSJ. My good friends Andre & Emma Physouni are responsible for me being able to complete the hike. They provided the transport for Lands End and John O’Groats and sorted all the logistics out once I had set off. As for me, well I have a plan and that is never to walk more than 10 miles per day again.